It's my birthday, and this is my first post on Sweet Romance Reads. 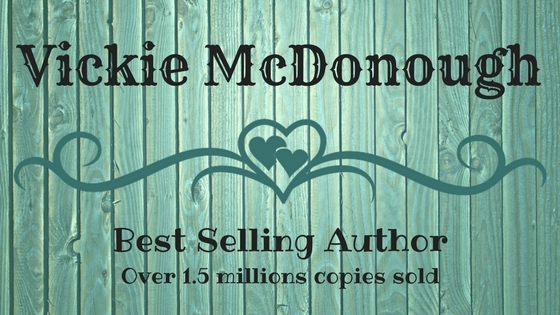 I'm thrilled to be a part of this great group of writers. 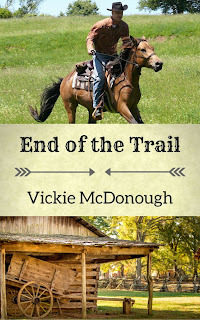 In honor of my birthday, I'm giving away a copy of one of my ebooks--winner's choice of my two Texas Trails books, but first I want to tell you about an exciting new release. 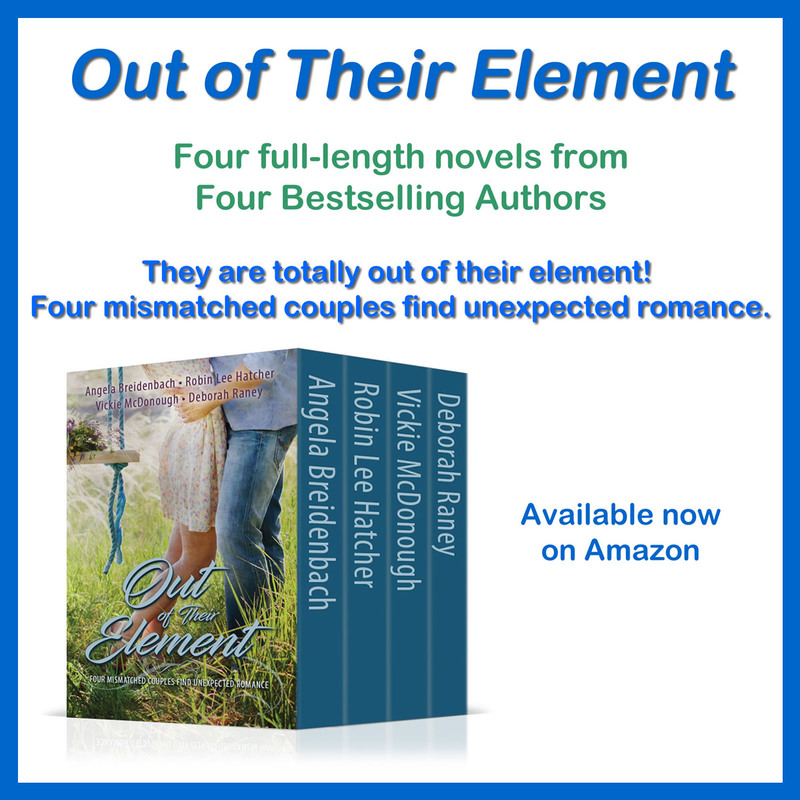 Out of Their Element is now available! This collection features stories by four popular, best-selling Christian fiction authors: Robin Lee Hatcher, Angela Breidenbach, Deborah Raney and me. Note: this book is not included in the giveaway. And now for my give away books! Both of these books originally appeared in a six-book series called the Texas Trail series. Three authors, Susan Page Davis, Darlene Franklin, and I each wrote two books in the series. The books feature the fictional Morgan family. The first book was set in the 1830s, with each following book set in the next decade, ending in the 1880s. Each book was a stand-alone story, although frequent visits from other Morgan family members happened quite often. I have now gotten the rights back on my two books, so I have self-published them with new covers. Let me tell you what they're about. 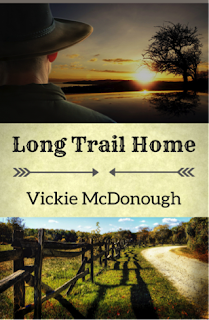 A weary soldier returns from the War Between the States to discover his parents are dead, his family farm is in shambles, and his fiancée is married. A pretty, blind woman reaches through his scarred walls, but will the secret she holds ruin all chances for a future filled with love, faith, and family? Brooks Morgan is quick on the draw, but his weapon of choice is his smile. He’s smart and witty and has charmed his way through much of life, but now he’s growing older—and a bit wiser. He wants to stop drifting and settle down. He finally gets his chance when he wins Raven Creek Ranch in a poker game, but when he goes to claim his prize, a pretty woman with a shotgun claims the ranch belongs to her. He's not leaving, but neither is she. Which of these books sounds more exciting to you? 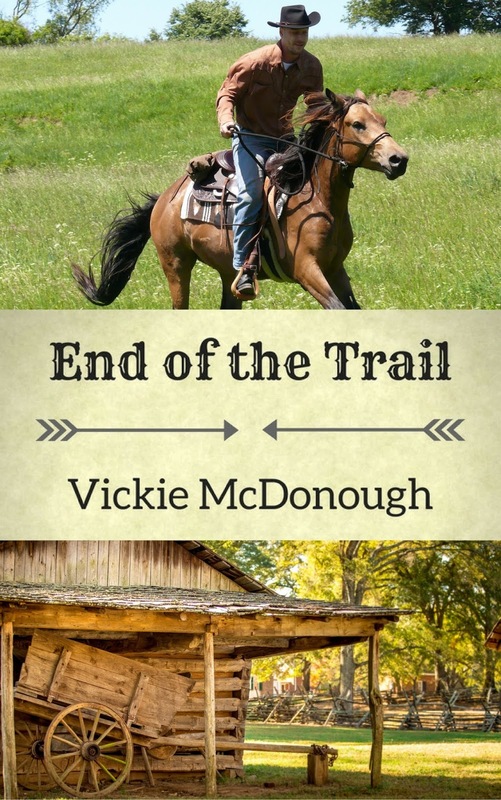 I am giving away an ebook version of one of my Texas Trail books. Leave a comment and let me know which you'd prefer to read and why to be entered in the drawing. Welcome, Vickie. We're happy to have you here and I hope you have a wonderful birthday. Your books sound entertaining. Happy birthday! I would love to win either one, they both sound good. Thank you for the chance to win! 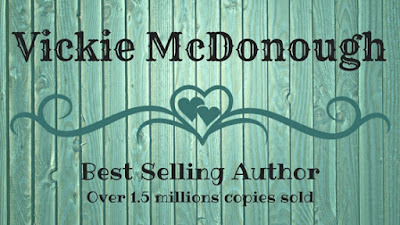 Welcome to Sweet Romance Reads and Happy Birthday! Welcome, Vickie. So good to see you here. Vickie, happy birthday. Welcome to Sweet Romance Reads. We're so glad you're here. Happy birthday, Vickie! I enjoy your books. Thanks for reading my books, Ann! Congratulations, Ann! You are the winner in my book drawing. Please send me your email address and let me know which ebook you'd like to receive: Long Trail Home or End of the Trail. 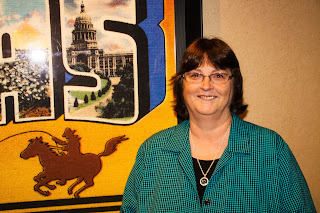 A sincere welcome, Vickie, and a very Happy Birthday! So glad you're here. Happy birthday and Welcome to the group!! How nice if you to have a give away! I have read both these books. It was a good many years ago. They are both great but I enjoyed the End of the Trail the most! Thanks for reading my books Barbara! I was rather partial to End of the Trail too. Kind of hard to not like Brooks Morgan.